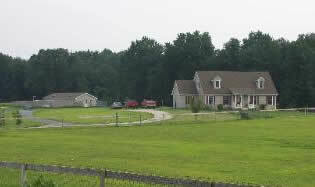 West Wind Kennel is a loving and friendly place to keep your dogs, and/or cats while you are away. We take great pride in the kennel facility, which has all the comforts of home for your dogs or cats. Full air conditioning in the summer, radiant floor heat and heating in the winter. We also offer nature walks and have 2 fenced in exercise areas for your pet's free time. The facility is double fenced for your pet's security, and as you can see by the photo, we live on the premises, so there are no worries for you while your pet is here. They are safe and having fun with us! © 2018 All artwork on this site is the sole property of Westwind Kennels. Copy or use of any artwork contained in this site without the artist's permission is a Copyright Infringement.